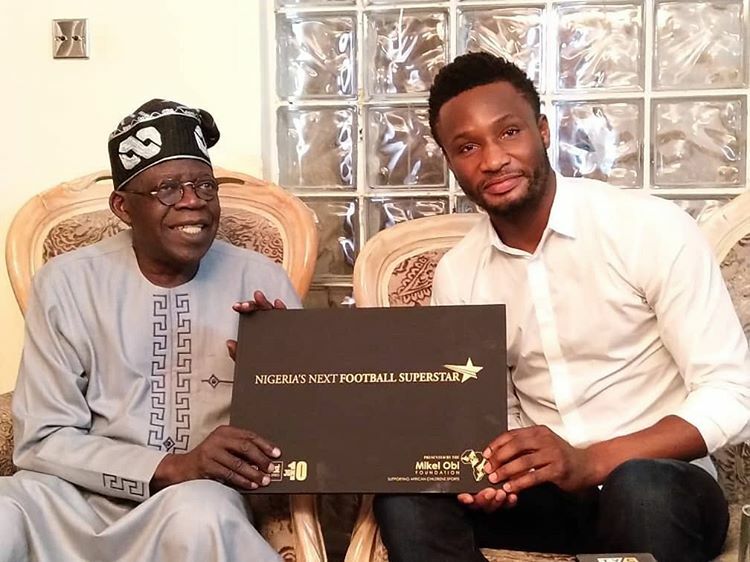 Super Eagles Captain Mikel Obi shared this photo via his social media space as he met with National leader of the All Progressive Congress (APC), Bola Ahmed Tinubu. The former Chelsea star, who is currently on vacation in Nigeria with his family launched a catch them young football foundation recently which is meant for discovering young talents in Africa in Lagos. Posted by Mr. Cis on November 27, 2018.